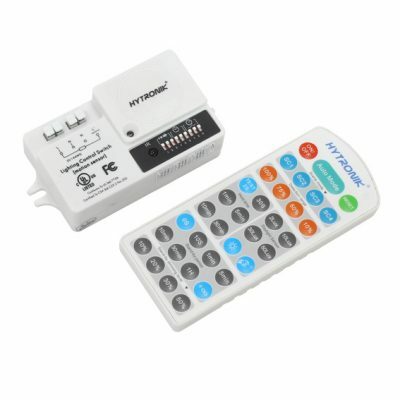 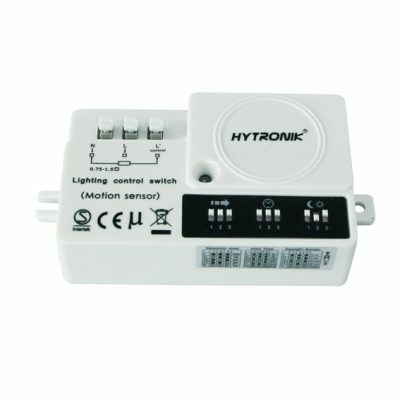 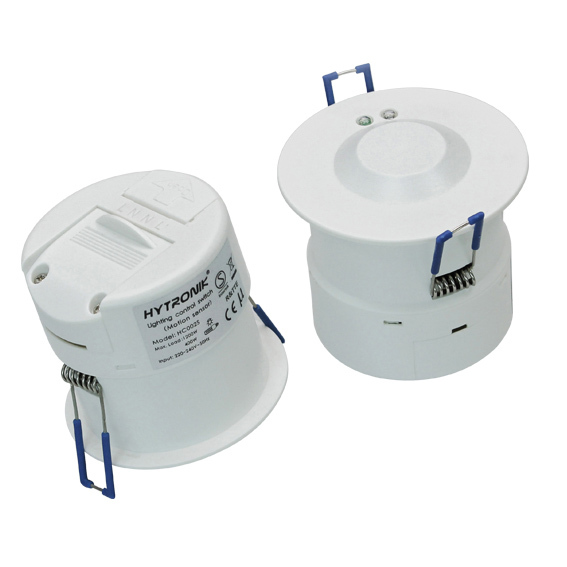 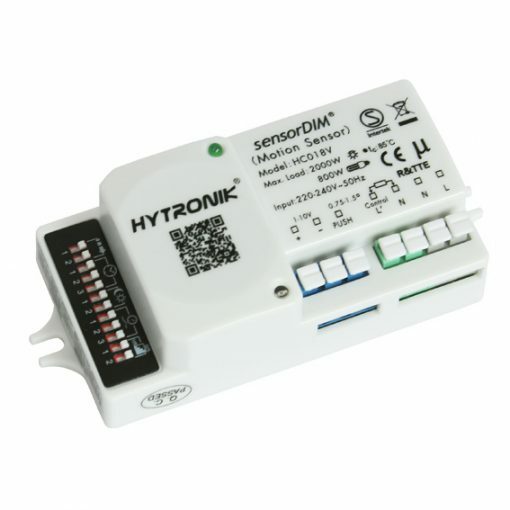 HC018V is an advanced version microwave motion sensor with SensorDIM and 3 step dimming control technology. 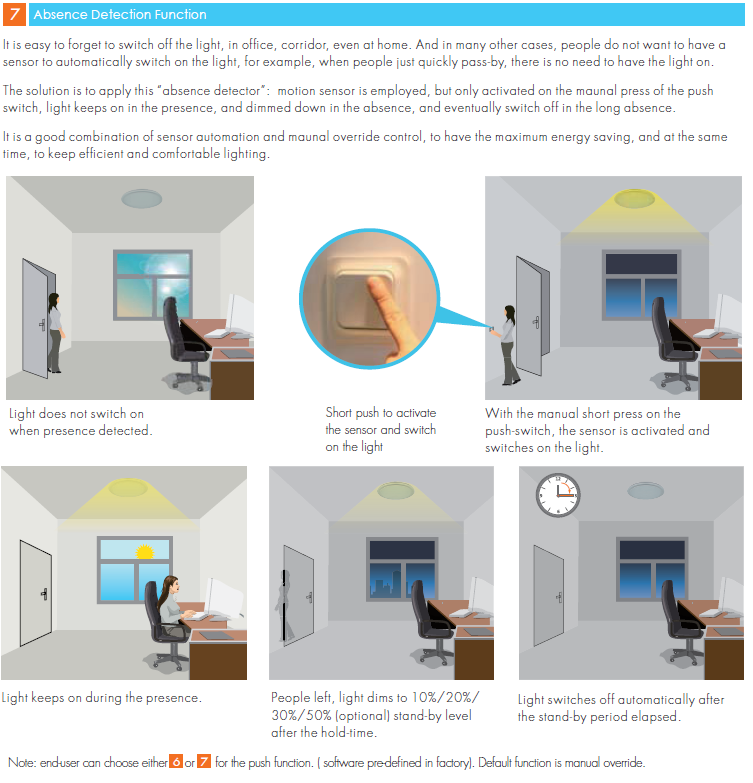 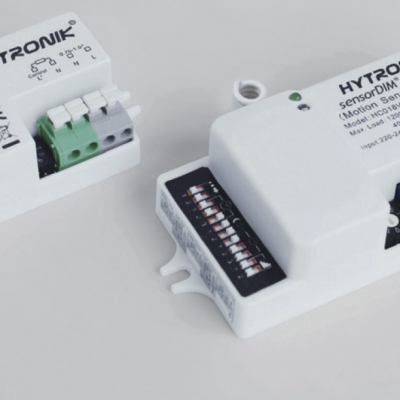 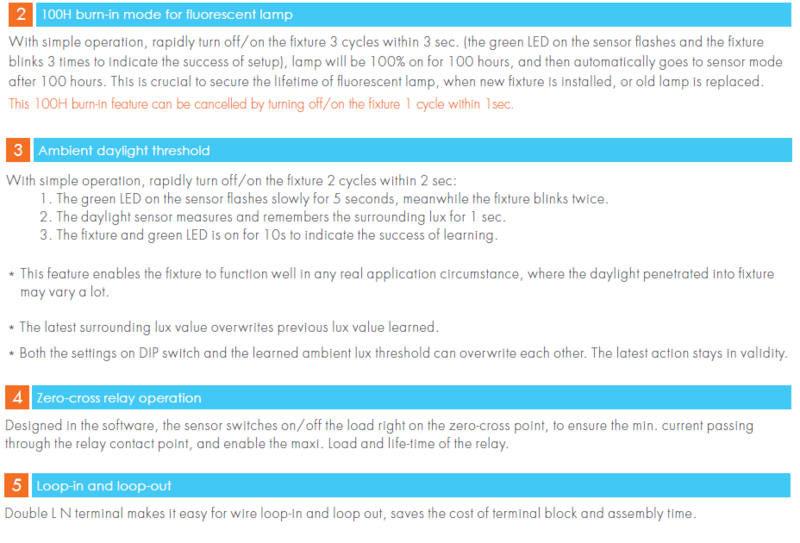 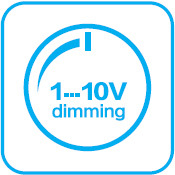 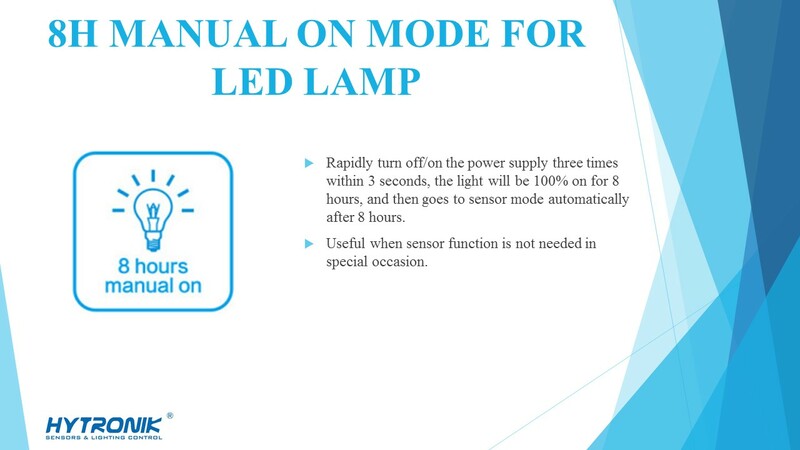 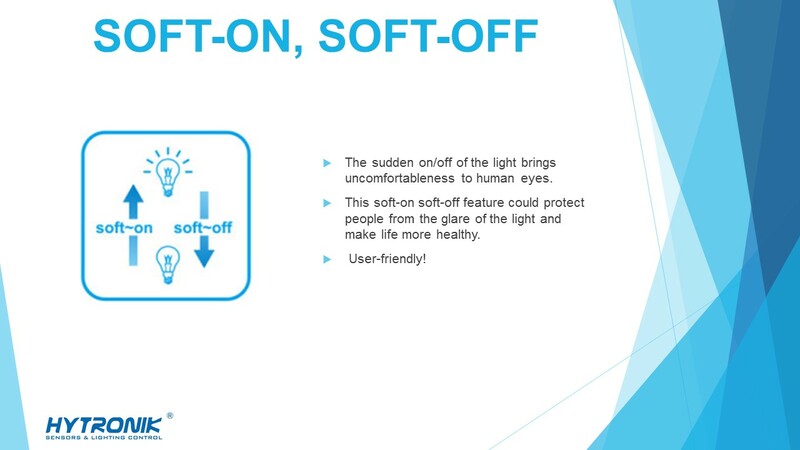 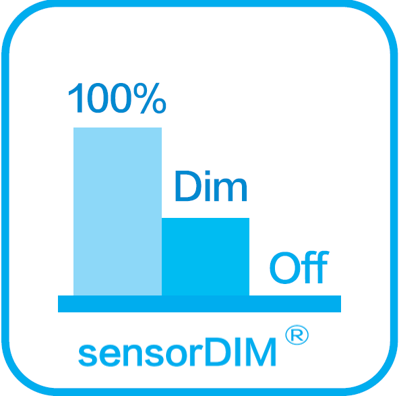 This sensor reserves the access of manual override function for end-users to switch on/off, or adjust the stand-by dimming level with the push-switch, which makes the product more user-friendly and more options to fit for some extra-ordinary demands. 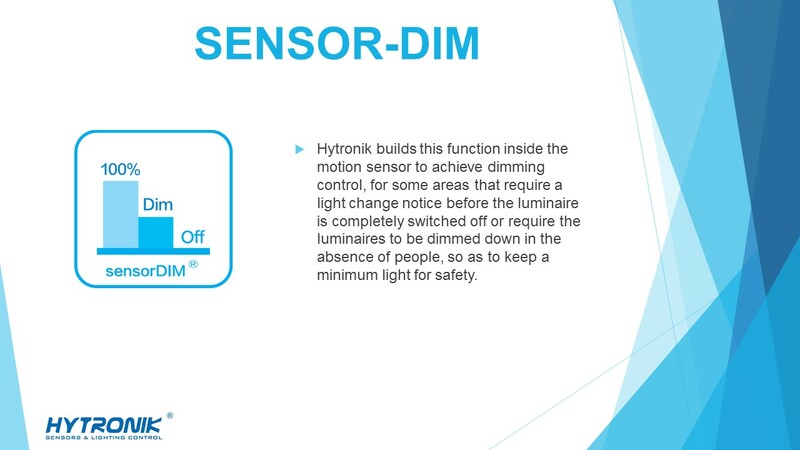 This sensor also has an inbuilt feature of “absence detection” which is activated on the manual press of the push switch.